The Department of Chemistry provides the knowledge, skills, and training necessary for chemistry students seeking the B.S. degree with a major in Chemistry and supports undergraduate programs in other disciplines. The Chemistry Department also provides innovative research opportunities for students wishing to explore the fascinating world of chemistry. 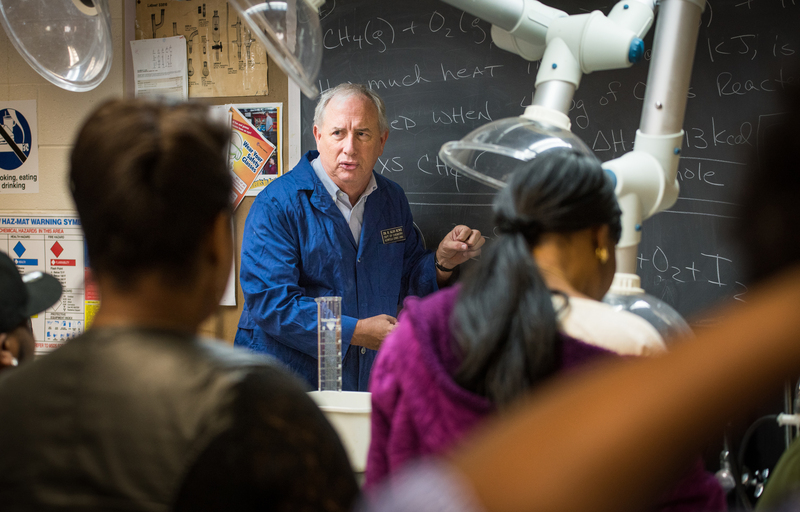 The Chemistry Department offers several chemistry based curricula choices leading to a B.S. degree in Chemistry: Chemistry, Chemistry with an emphasis in Pre-Medicine (not a degree in Pre-Medicine), and the dual degree B.S. in Chemistry-M.S. in Materials Science curriculum. Students wishing to teach chemistry in secondary schools must earn a B.S. degree in the Chemistry curriculum and fulfill the requirements for the Teacher Licensure Endorsement offered by the School of Education. The various curricula prepare graduates to continue their education in graduate or professional schools, or to obtain entry-level positions in industry, government, or education.